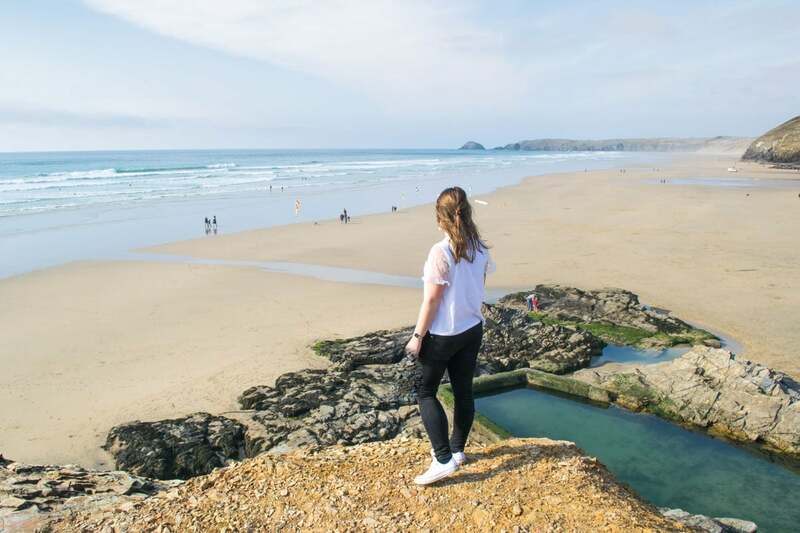 From the best restaurants in Padstow, to stunning sandy beaches and epic views, it’s time to reveal the highlights from my time in Cornwall. What an INCREDIBLE way to round off my year as a Visit England ambassador, by heading off on the dreamiest trip of them all – to Cornwall. I already had fond memories of trips there in my teenage and university years, and was so excited to return. This time, the focus was on food and landscapes, which lets face it, is what this blog is all about! 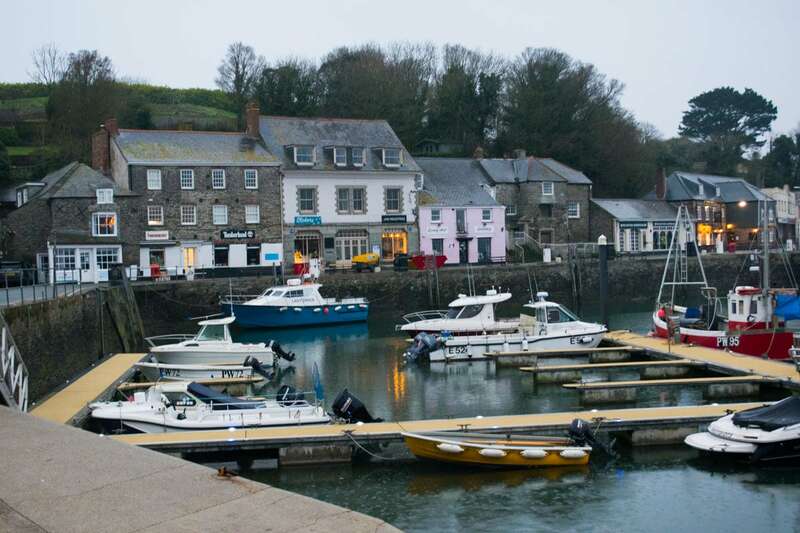 I was off in search of the best restaurants in Padstow… and beyond. 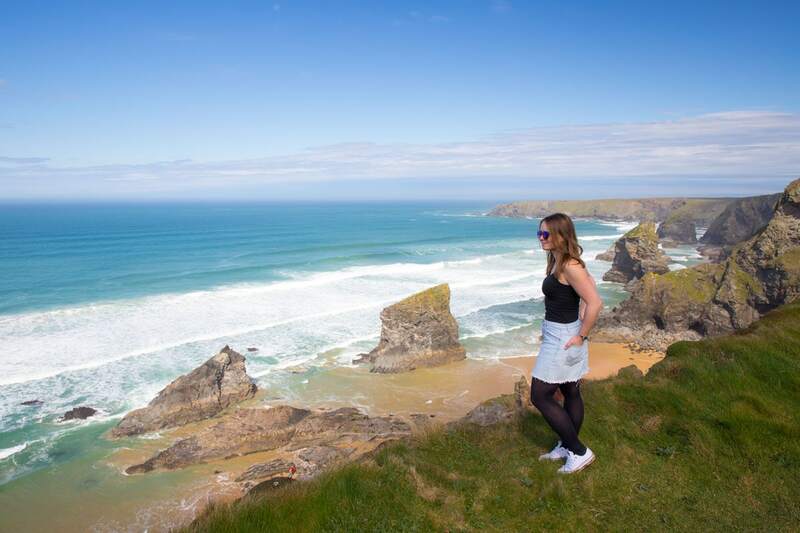 Basing myself in Newquay and Padstow meant I was close to some of the top restaurants in the region, and some of the stunning Cornish coastline too. Cornwall is sometimes seen as a little inaccessible, especially from London and beyond, but I discovered a hassle-free route. Flying! Yes, if you’re based in London, I’d recommend flying to Newquay with FlyBe. 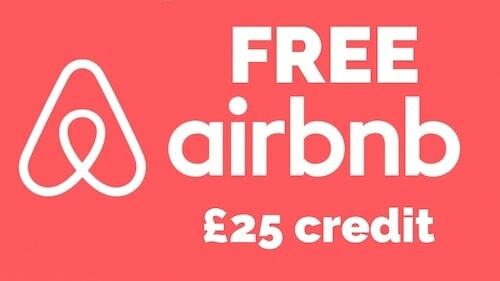 It takes 40 minutes, costs around £100 return, and that way you can really maximise your time on holiday. So once you’ve made it to Cornwall, where should you go, what should you see and most importantly, what are you eating?! Here’s a map with all my fave spots marked, to make it easy to navigate and plan your route! Padstow feels like the foodie heart of Cornwall. With a plethora of restaurants, cafes, delis and even a cooking school run by Rick Stein, plus Paul Ainsworth’s Michelin-starred restaurant tucked behind the harbour, it’s a town to truly indulge. You can watch fresh catches arriving off the fishermen’s boats, then order it minutes later in one of the restaurants. Beyond Padstow there’s plenty on offer too, and that’s before you snack on Cornish pasties or ice cream, and try a Cornish cream tea! So where did I eat, and what were some of the star dishes? Paul Ainsworth At No.6, Padstow – The only restaurant in town with a Michelin Star, Paul’s restaurant is tucked away in a white Georgian townhouse on Middle Street. It offers a British menu, with an emphasis on local produce. The word Michelin might make you think ££££, but we enjoyed a very affordable set lunch which was £25 for 2 courses, or £29 for 3. 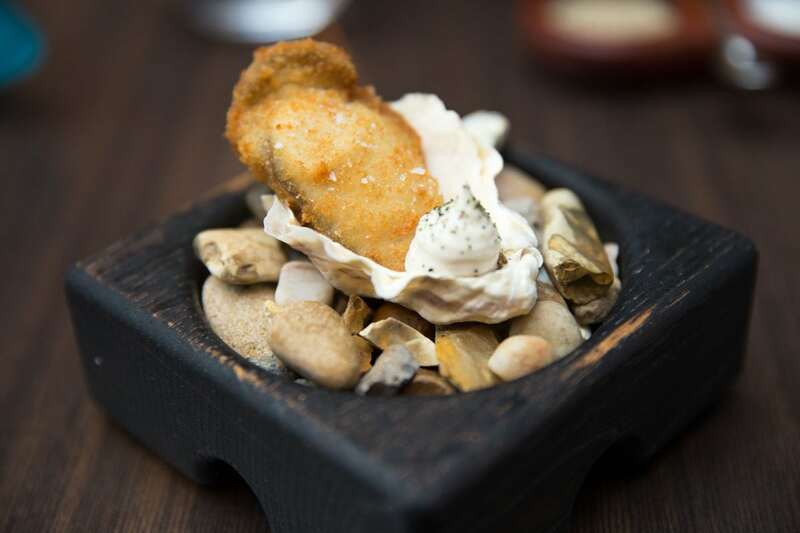 As an amuse bouche we tucked into a deep fried oyster from the nearby town of Rock, with sea smoked cod mayo and nori powder. Juicy and tender, it conjured up all the flavours of the Atlantic. Next up was a bowl of divine (and bright green) wild garlic and watercress soup with crisped parsley and a dollop of sour cream. Talk about an intense flavour – it was so moreish. 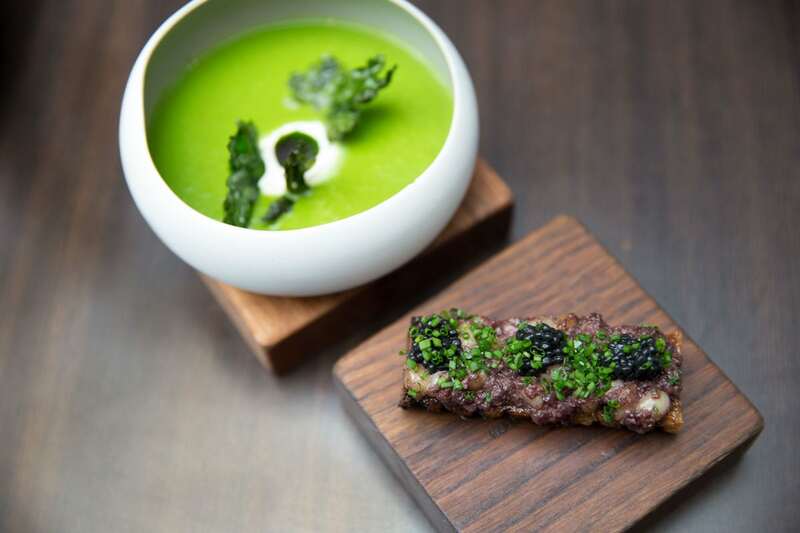 Alongside it was a bone marrow crouton topped with caviar. Some seriously photogenic food! Our main course was a breaded lamb breast, with sweetbreads, lamb’s tongue, and peas, broad beans and salsa verde. For my palette, the tongue was a step too far, not a texture or flavour I savoured, but the rest of the dish was very tasty. This is without doubt one of the best restaurants in Padstow. Rojanos In The Square, Padstow – Rojano’s serves rustic Italian food in the heart of Padstow. From light pizzas stacked with tasty toppings, to rich pasta sauces, and salads laden with fresh ingredients, it’s a lovely place for a casual lunch or dinner. The salmon Caesar salad was our favourite dish, with delicately seared salmon (still pink in the middle) and chunky croutons mixed with crunchy lettuce. 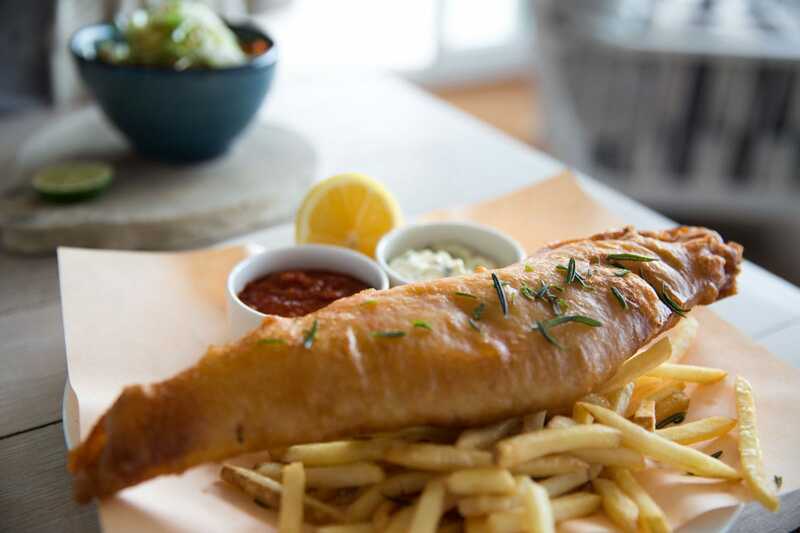 The Seafood Restaurant, Padstow – Another of the best restaurants in Padstow, Rick Stein’s harbour-front restaurant is smart, with its white table cloths, chic décor and a wonderful scent of seafood. You really can eat your way around the world, as the menu reflects Rick’s passion for world cuisines. 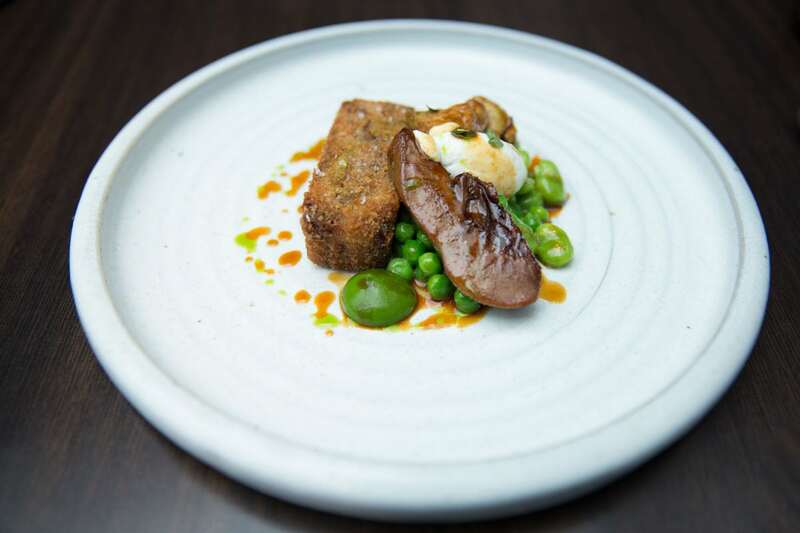 Again, while you might associate big name chefs with a hefty price tag, there’s a set lunch here for £41 for 3 courses – incredible value considering the range of dishes and portion size! 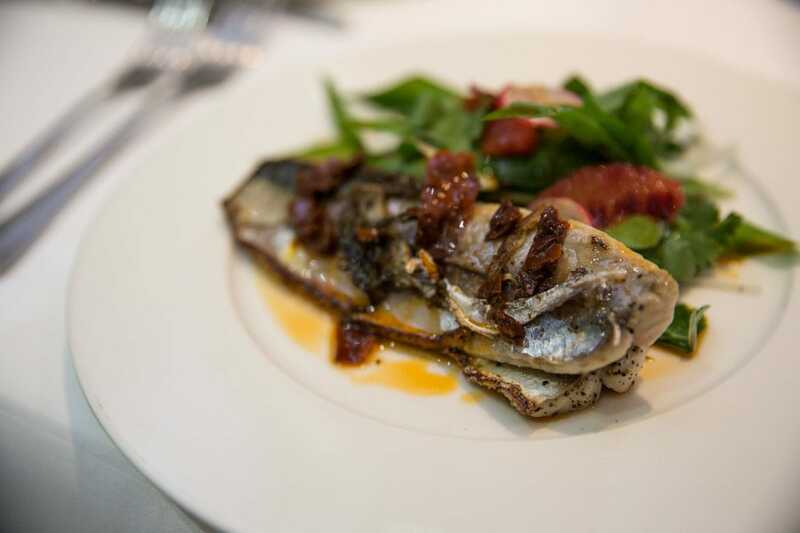 We enjoyed a spicy Cornish mackerel dish to start (inspired by Rick’s recent travels in Mexico), which came with a fresh salad of wild garlic, blood orange and radish. For mains I enjoyed his Thai green curry with cod. It was so tasty: sweet, creamy and spicy all at once! 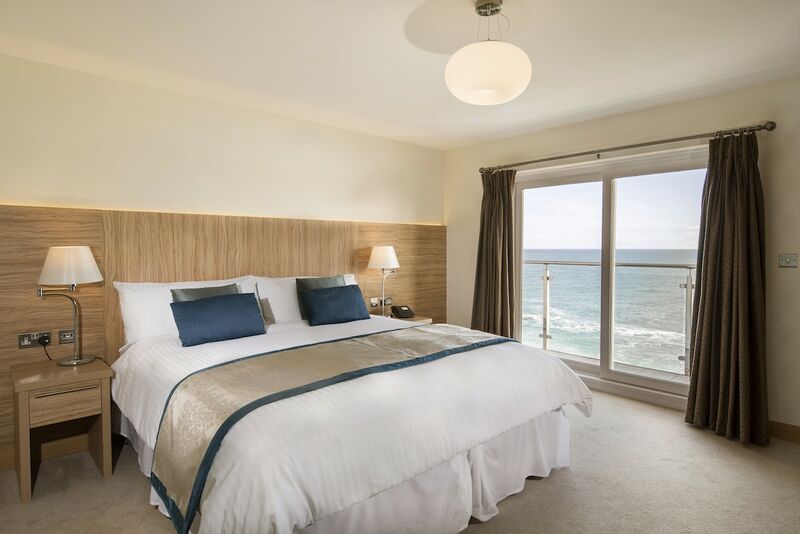 Watergate Bay Hotel – Overlooking the stunning Watergate Bay, this hotel has a few dining options including Living Space, The Beach Hut and Jamie Oliver’s Fifteen. We enjoyed a casual lunch in the nautically-themed Living Space, tucking into crispy fish and chips and kedgeree. Views are sensational, and when the weather is warm, I imagine it’s hard to find a spot on their terrace area. 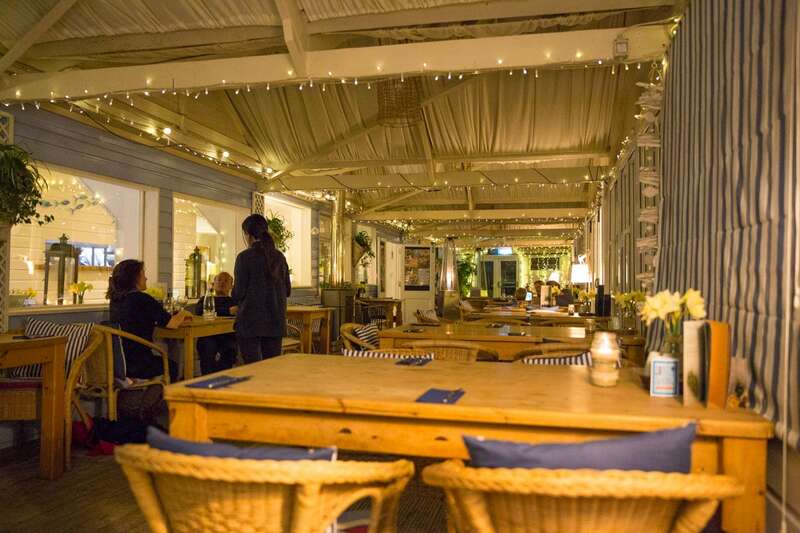 Lusty Glaze Restaurant, Newquay – You’ll certainly work up an appetite as you descend the 133 steps to this cute Newquay beach restaurant. Covered in fairy lights, it’s a gorgeous spot for an evening meal. 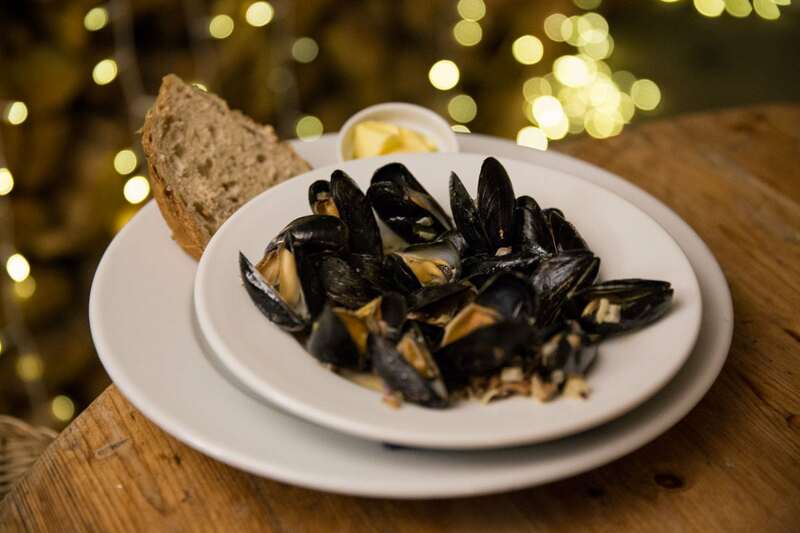 Along with fresh fish, scallops and mussels, you’ll find some tasty meat dishes too including succulent steak and burgers. A few of you recommended the live music here, which sadly wasn’t on the night we visited, but is definitely something to check out if you get the chance. Bowgie Inn, West Pentire – This pink pub is perched on the top of the cliffs at West Pentire overlooking Crantock Beach. We stopped for a cappuccino with a view – and wow was it worth it! St Petroc’s, Padstow – As Padstow is such a tourist hub, finding rooms can be tricky, especially in peak seasons. To help, many of the town’s eateries have opened as hotels, offering a few rooms above the restaurants. St Petroc’s is one of them. Another in Rick Stein’s empire, it’s rustic, with characterful rooms, cosy fireplaces and chic nautical décor. 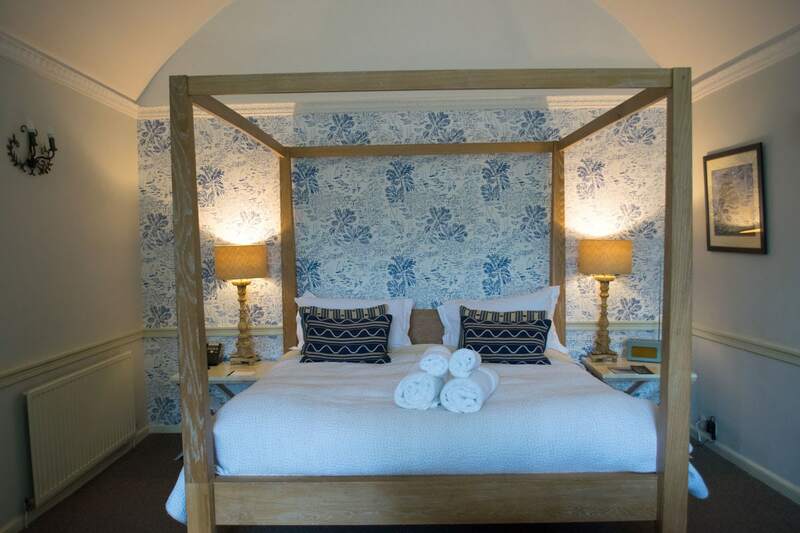 I loved our large bedroom with four-poster bed, classic bathtub and views out onto the secret terrace area. Being part of the Rick Stein family means breakfast is excellent too, featuring the freshest of fish. 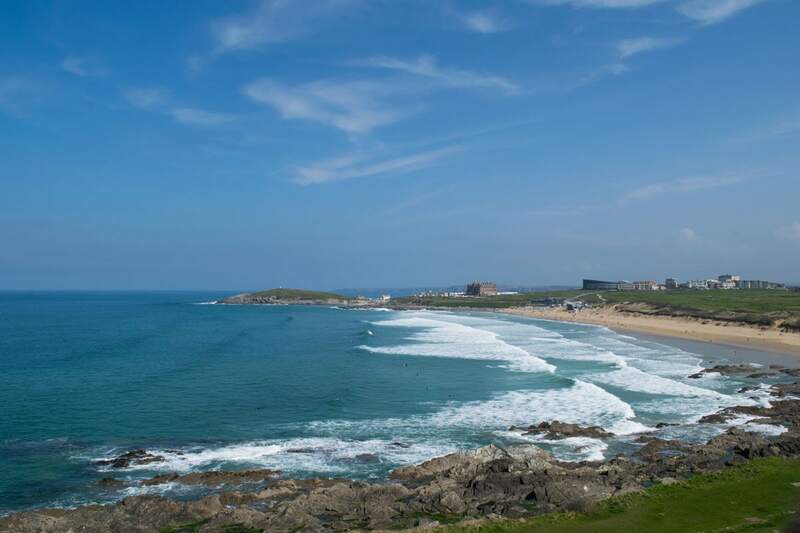 Fistral Beach Hotel And Spa, Newquay – Overlooking surf-mecca Fistral Beach, this adults only hotel and spa is really smart, with a large bar and lounge area overlooking the bay. The spa is a wonderful place to relax too. 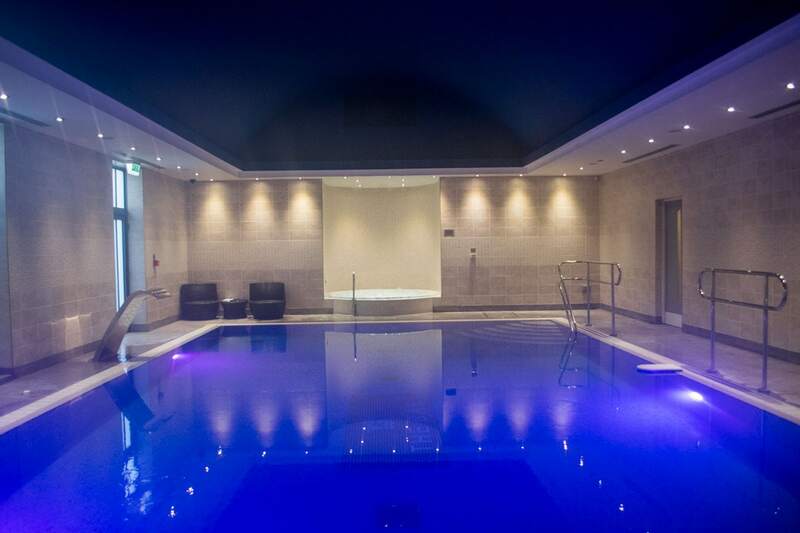 Along with treatments, and fitness options, there’s a swimming pool with Jacuzzi, sauna and steam room. It was the perfect place to unwind after a busy day exploring. Our room had a large balcony overlooking the beach, and there was something SO special about falling asleep to the sound of the crashing waves, and waking up to that beautiful view. 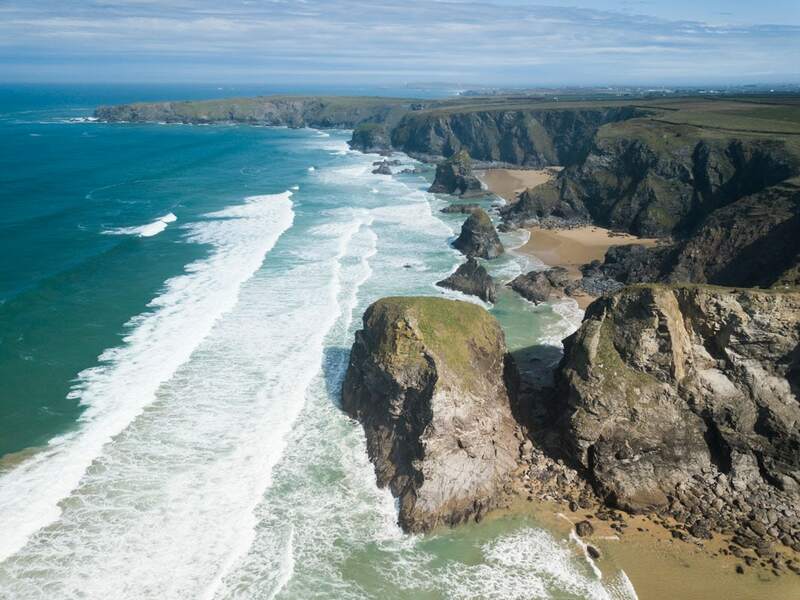 The north Cornwall coast is absolutely stunning, with jagged cliffs, epic headland walks, towering shoreline rocks and big waves! It’s easy to see why this is where surfers flock to. The best way to explore is to hire a car and take a trip along the coastline, stopping off to enjoy the cute towns and villages, and the epic coastal views. If you’re feeling more active, there are plenty of long walks you can do along the coastal paths too! 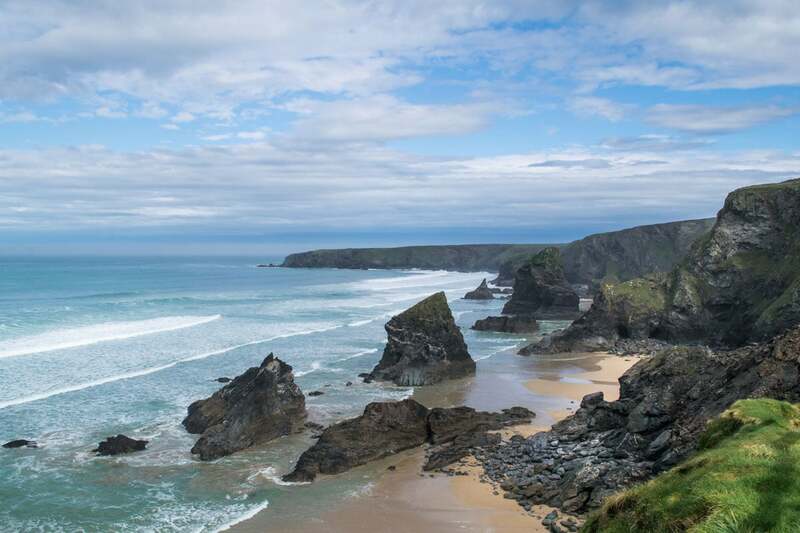 Perranporth – The three miles of golden sands make this one of my favourite beaches in the region. Along with great surf and a large beach for relaxing on, there are some interesting rock formations on the sand, including one with a big natural pool, and a large arch. 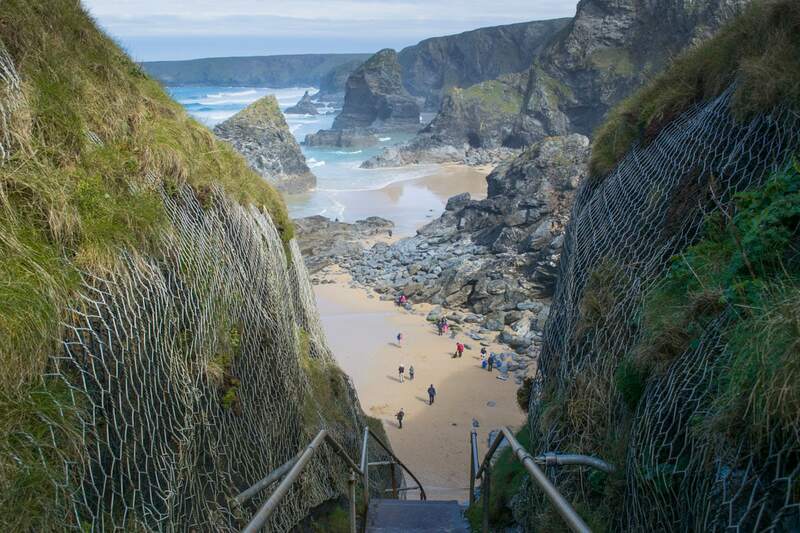 Bedruthan Steps – This was my favourite view from this trip. 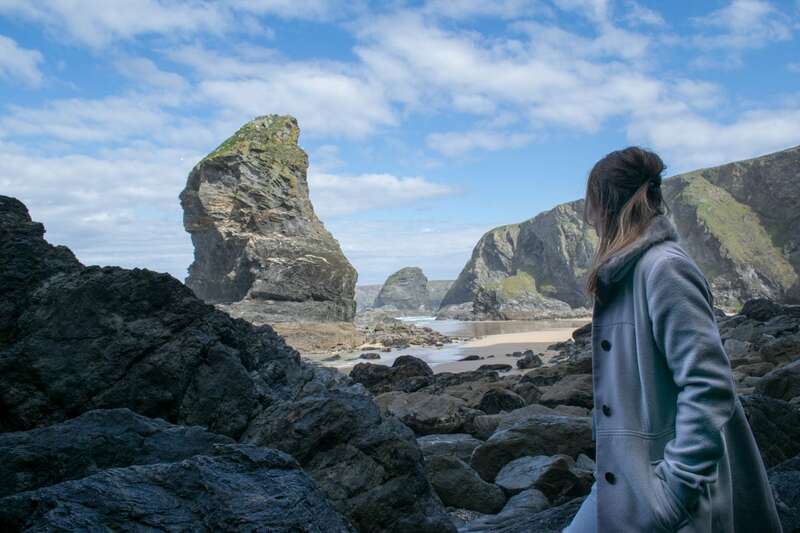 Legend has it a giant called Bedruthan used the huge rocks as stepping stones – and it’s only when you reach the beach that you’ll feel the sheer scale of them. Visit around low tide to fully explore the beach areas as they get cut off once the tide comes in. Access is via 120 steep steps, and although the views are stunning on the sands, they’re even more spectacular from the headland trails above. It’s a National Trust property, so you’ll find parking, a café and information on arrival. Padstow Harbour – This is a pretty harbour, with fishing boats bobbing around and colourful shops lining the perimeter. Bustling in the warmer months, there are plenty of places to buy ice cream (Harbour Ice had the longest queue), fish and chips, quirky gifts and more. It’s also fun watching the fishermen arriving with their fresh catches. Crantock Beach And Village – As we drove through Crantock I shouted ‘stop the car!’ Before we reached the sand, we passed beautiful white thatched cottages that looked like the quintessential postcard image of a charming English village. The beach was lovely too, with some of the best views coming from just above at West Pentire. 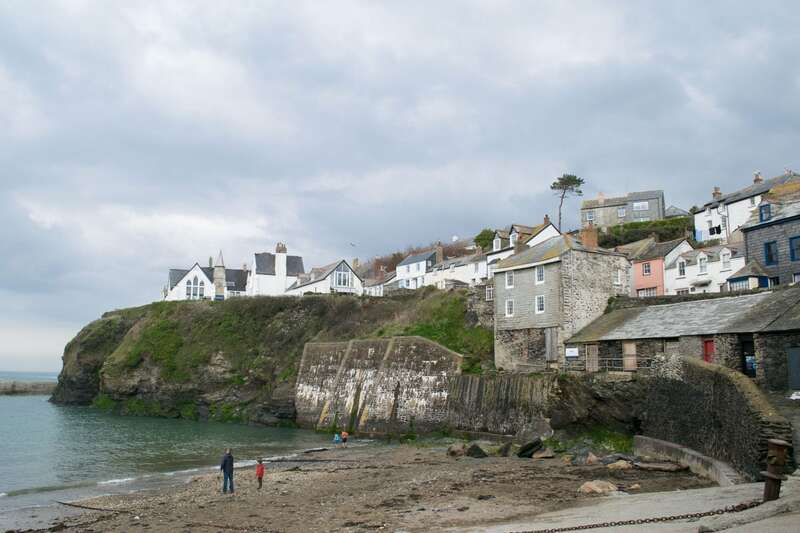 Port Isaac – This traditional fishing village has skinny, twisty streets that wiggle around its classic harbour. I loved it! 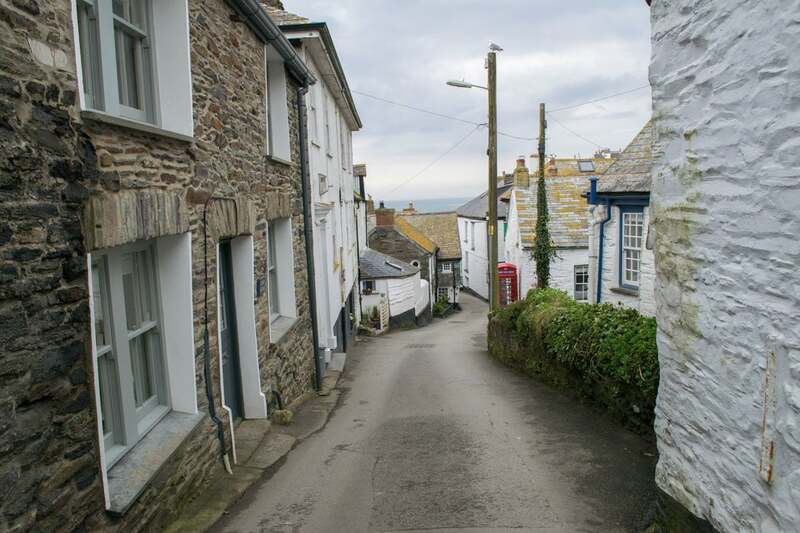 Littered with seaside gift shops, pasty stores, fish restaurants and Port Isaac Pottery, it’s somewhere you have to squeeze in to your trip. Foodies might know it for being home to Nathan Outlaw’s Michelin Starred restaurant (perhaps one for my next trip?) Quick tip – park at the main car park at the top. It’s a 7-minute walk down steep roads to the main area, but there’s nowhere else to park, and access is only for residents once you get towards the harbour. Watergate Bay – Another incredible surf beach, I loved wandering along at low tide, checking out some of the views of the huge cliffs and hidden caves. 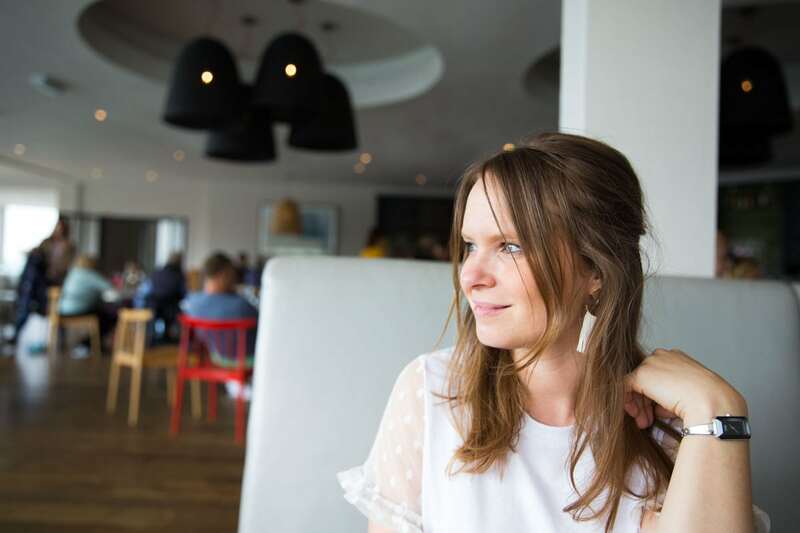 There’s a store to rent surfboards, paddle boards or organise lessons, plus some great restaurants and cafes including at the Watergate Bay Hotel and Jamie Oliver’s Fifteen. 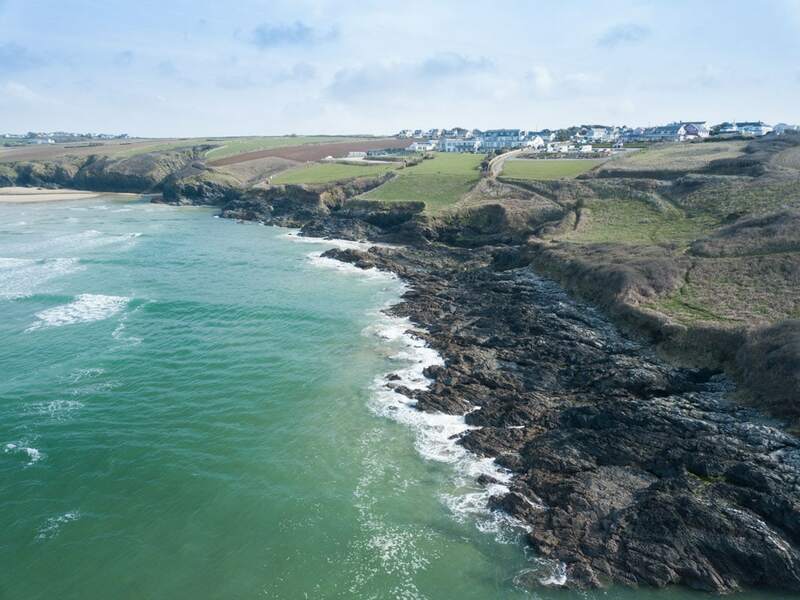 Mawgan Porth – Located between Padstow and Newquay, this cute seaside village is compact but has everything you need. Along with its large golden sands, there’s also a handful of restaurants and cafes, a crazy golf course, and nestled above the beach is spectacular eco-hotel The Scarlet. St Merryn – Another ‘quick stop the car’ moment from our trip! 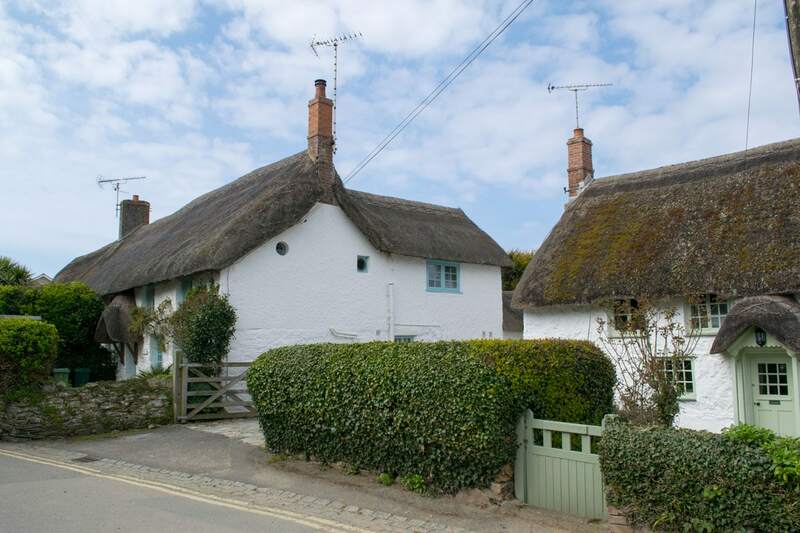 This is another adorable historic village. With its 13th Century church, classic country gastropub The Cornish Arms, and spectacular farmhouse-come-Cornish-bistro The Ivy House, I wished I had longer so I could stay for longer! 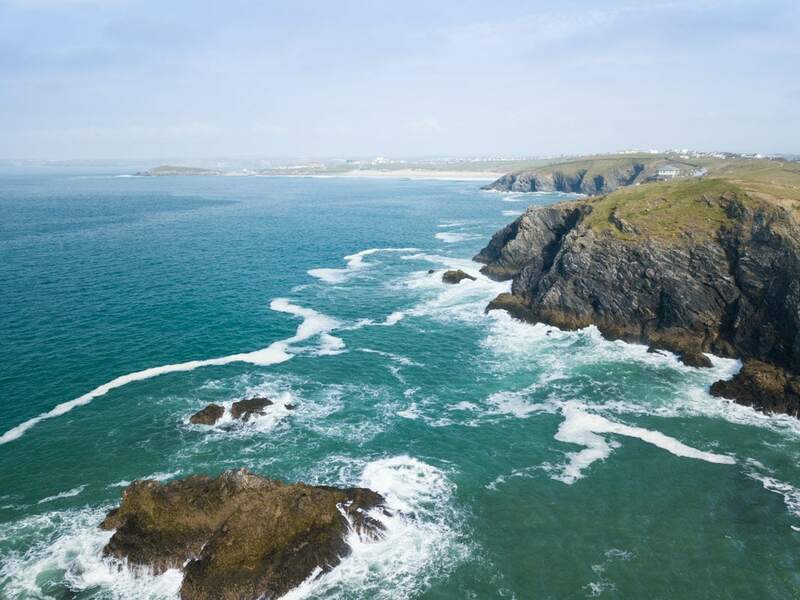 Newquay – I’ve been on a few trips to Newquay before, and loved the hubbub of the town mixed with the epic beach landscapes. If you’re keen on surfing, or just enjoy watching, head to Fistral Beach. Meanwhile, in the town there’s another beach near the harbour. My favourite thing about it? 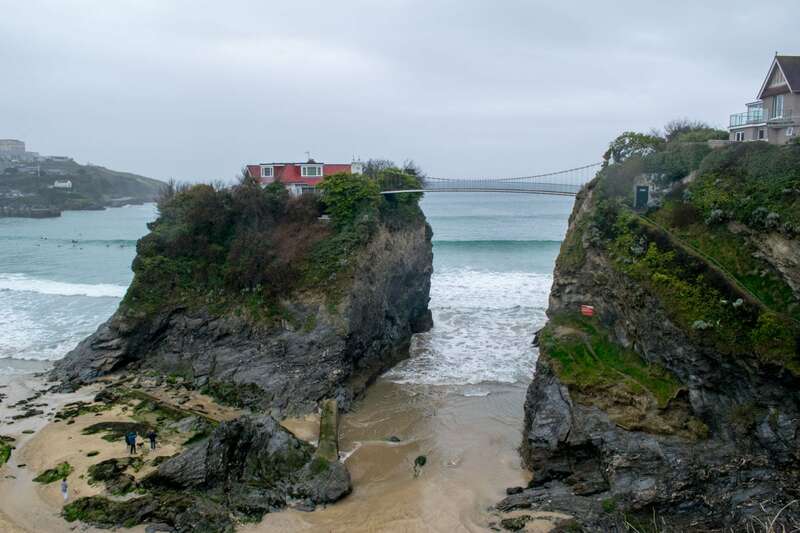 The Island – a holiday home sleeping 6, that’s built on its own rock, with a bridge from the mainland! I’ve just stalked the booking website, and it looks dreamy inside as well as out. It’ll set you back though, with a week in September coming in at over £4000. As mentioned, my top timesaving tip is to fly from London to Newquay. There are regular flights with Fly Be, and it only takes 40 minutes. 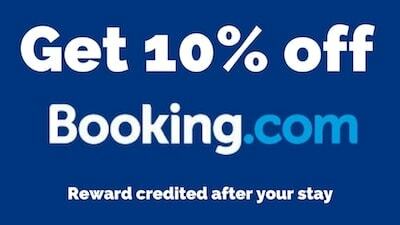 Our flights cost under £100 return per person, which was comparable to the cost of a much lengthier train journey. There are plenty of trains running to Cornwall, with GWR stopping in St Austell, Truro, Penzance and more. The journey takes between 4 and 5 hours from London Paddington. There are also coach services from London with National Express. That journey is considerably longer, taking over 7 hours, but tickets can be as cheap as £11, so perfect if you’re on a budget. However you choose to get to Cornwall, I’d recommend hiring a car if you want to see some of the places I’ve mentioned above. We hired a car with Cornwall Car Hire for £40 per day. I’d suggest hiring something small-ish as some of the country lanes are narrow. 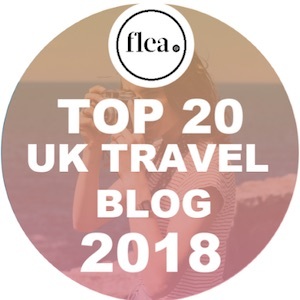 I hope you’ve enjoyed reading about my top picks in Cornwall! 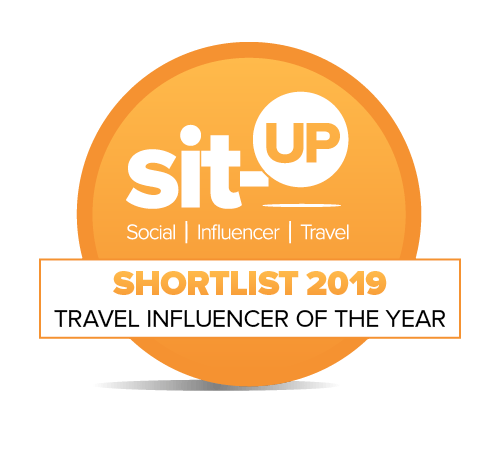 It’s a region filled with beauty spots and great food, and there are plenty of places I’d love to check out on a future trip! It was a fantastic way to round off my time as a Visit England ambassador. Any questions, feel free to leave a comment below! A big thanks to Visit England and Visit Cornwall for organising my trip as part of my time as a Visit England Ambassador! Click here if you’re looking for more inspiration within our amazing country. As always, all opinions are my own. I love Padstow!! The Seafood restaurant is amazing! OMG that food was SOOOOO delicious Angie! I keep dreaming about it! !